CHILDREN: Oscar would like an adult only home. OTHER DOGS: Oscar would love to be the only dog in your home. CATS: His initial cat test suggests that he MAY be able to live with a dog savvy cat. FEEDING: He loves his food and at the kennels is fed a raw diet. HEALTH: He has been healthy during his stay at the kennels. 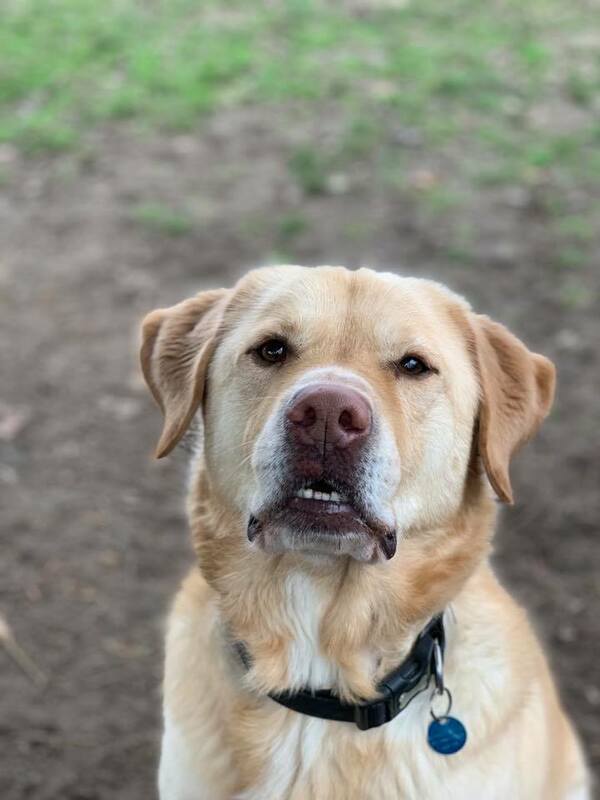 MORE INFORMATION: Oscar is a large Labrador. Slightly fluffier than your typical Labrador! IDEAL HOME: A dog free adult only home would be ideal for Oscar. One with knowledge or experience of dogs with resource guarding tendencies would be a bonus, as he does love his toys and food! TRAINING REQUIREMENTS : Oscar is a typical bouncy happy Lab type. He has known tendencies to resource guard food and toys. This resulted in his previous rescue not feeling that they could progress with him and no longer offering their support. We know from experience that in a pet free home, with management, it gets better. He has been great during his time with us, and often all they need is a pet and child free home and the guarding fades when the adults follow certain rules and the dog learns to trust that nobody wants to eat their food and it is all for him. 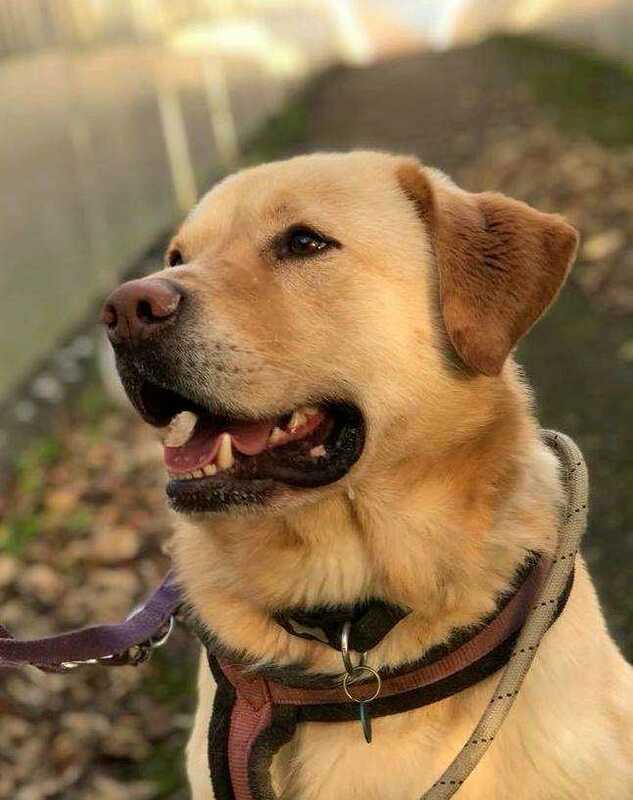 This is being worked on at the kennels but will need further work in a home and some control and management put into his new home to help him to succeed. He walks beautifully on lead, he is a clever and willing boy with the right guidance and encouragement. We are really pleased with his progress and are very confident for his future.